A wild, Southern Gothic fantasia set in a forgotten part of western Kentucky about two men on a quest to confirm a local legend. 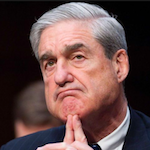 He takes obvious enjoyment in sharing the culture of his home state; his excitement about each folk tale, each bit of history, shines through the narrative. And it's contagious: It's hard not to get swept up by his enthusiastic prose, his ebullient descriptions of the places and people in the Bluegrass State. It's a relentlessly fun novel, the literary equivalent of a country-punk album that grabs you and refuses to let go. Wilkes has a perfect ear for the dialect of Kentucky, and his writing is so bright, you can almost see every abandoned shack, every kudzu-covered tree. Sure, it's bizarre, and at points almost gleefully obscene, but it's undeniably one of the smartest, most original Southern Gothic novels to come along in years. Wilkes’s book is chock full of vivid, hallucinatory bits, odd moments of humor, and haunted environments, with the forest itself a classic moody setting, but the book gets its real charge from its complex consideration of the narrator’s views on manhood and the South?—?the two being intimately related ... This disconnect from his present time on both the personal and generational level provides the narrative with a certain tension that raises Wilkes’s book above the level of a simple entertaining trip into a folksy fantastical setting ... If Wilkes himself sometimes seems caught up in that same confusion, confirming rather than questioning some of his narrator’s less constructive notions, then he at least understands the complexity of the question. In his novel, the South comes across as sufficiently haunted: by God, by slavery, and, not least, by the ghosts, literal and figurative, of a region with a very tangled history. Wilkes has a knack for rhythm, humor, accents, and biblical language. More than a single story, this is the kind of narrative in which the main plot is merely a structure used to house a collection of narratives, all of them as strange and entertaining as the main plot ... what ultimately makes this a must-read is Wilkes' talent for spinning tales that collide but never overpower one another. Wilkes has a unique voice that sounds like the best dirty songs of a gun-toting madman obsessed with keeping listeners glued to his every word. 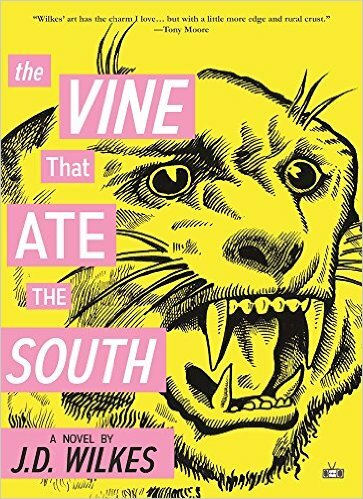 This is a hell of a book, and it will undoubtedly become part of the list of best, and weirdest, Southern literary gems. What did you think of The Vine That Ate The South?